The “family business” just got a major overhaul. According to Time Magazine, viewing of family vlogs on YouTube increased an astonishing 90% between 2016 and 2017. The rise of the influencer family and the spectacle of their usually wholesome and often entertaining YouTube vlogs is a phenomenon that only promises to pick up more steam as influencers in general become an ever more comfortably entrenched part of our daily lived experiences. The rewards of partnership with a popular influencer family are obvious. The promotional possibilities are nearly endless for marketers since an entire family covers a spectrum of needs. How does mom keep her complexion looking so dewy while caring for a newborn, two toddlers, a seven-year-old and a tween? Could it be your moisturizer or foundation? What’s for dinner tonight for this family of seven? Is it your meal service? What does dad like to shave with? What shirts does he wear? Which diaper is the preferred brand for a family with three infants? If mom ever gets to read a book again, which unheard of gem will it be? Just about all of the bases are covered here. A dynamic family can market just about anything; that’s precisely the core appeal. Case in point: The Butler family. The fun began way back in 2007 when father Shay was inspired to post a video of himself romping around in his wife’s exercise unitard on YouTube. The video went viral and the posts continued for almost ten years covering a variety of family experiences including getting a swimming pool, which inspired the most popular video, WE GOT A SWIMMING POOL! The Butler family videos have been watched collectively over 2.6 billion times. There are many influencer families out there with large followings that could be perfect for a partnership with your brand. Here are the top 8 for your consideration. Marketers, on your marks, get set…go! 1) The ACE Family: And the award for Most Influential Vlogger Family goes to Austin, Catherine, Elle and Alaia, the McBroom-Paiz family—otherwise known as The ACE family—with 15.7 million subscribers. Highlights include a prank that has Austin frightening Catherine as he hides inside a teaddy bear, plus Austin’s proposal to Catherine after jumping out of an airplane. The California family also has substantial followings on Facebook with over 444K likes and Instagram, where Catherine has 6.7 million followers. 2) Roman Atwood Vlogs: The Atwood family of Ohio is a close second in the Most Influential Vlogger Family contest with 15.2 million subscribers. Dad Roman’s family-friendly videos feature his three kids, Kane, Noah and Cora and his now wife Brittney. There’s something for everyone as Roman saves a man’s life with his drone, the kids play on a water slide and Roman proposes to Brittney. Pranks are big with this influencer family too, and are regularly featured in Roman Atwood posts. In addition to being a force on YouTube, Roman has 5.2M followers on Instagram and 1.5M on Facebook. 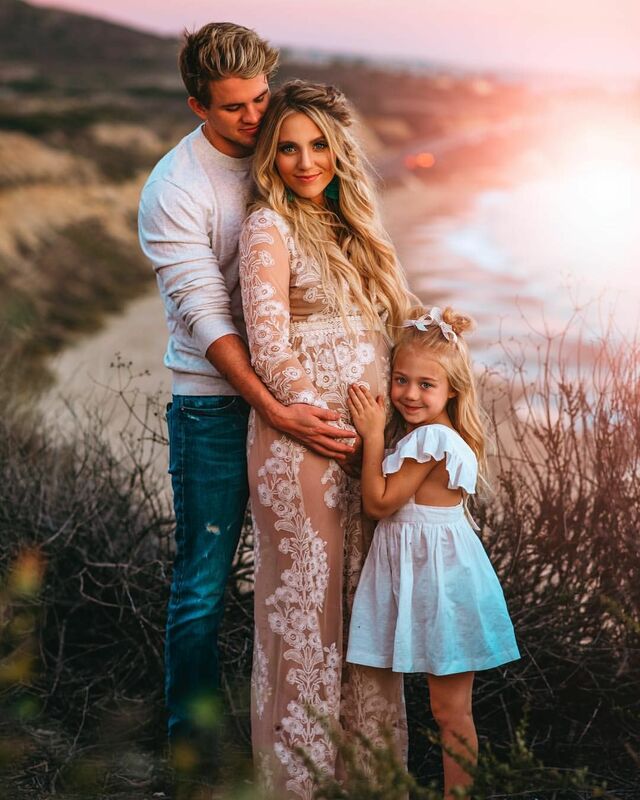 3) The LaBrant Fam: The LaBrant Family, Cole, Savannah and daughters Everleigh and Posie hail from California and boast 8.7 million YouTube subscribers. Watch as the LaBrant clan buy their dream house, go trick-or-treating and see Posie laugh for the first time. This family is a force to be reckoned with on other platforms as well—Cole has 3.9M followers on Instagram and 808.7K followers on Twitter while Savannah has 5M Instagram followers and 688.5K Twitter followers. Daughter Everleigh is giving mom and dad a run for their money with 4.3 million Instagram followers too. 4) Eh Bee Family: This Toronto-based family first made it big on the now-defunct VIne. They continue to ride the wave of their popularity on their YouTube channel, which has 8.3 million subscribers. Father Andres, mother Rosanna, daughter Gabriela and son Mr. Monkey maintain their privacy by declining to disclose their surname. This family loves a good challenge—popular videos include Family Whisper Challenge Gone Wrong! !, Fortnight Dance Challenge and Trying Weird Sodas vs Real Food!! Spoiler alert, one of the sodas is mustard flavored. The family also has 118K Twitter followers,11M Facebook followers and 1.8M followers on Instagram. 5) Family Fun Pack: This family consists of six kids; Alyssa, David, twins Chris and Zac, Michael and Owen, along with mom Kristine and two family dogs. They like to spend time trying out new toys, cavorting at the waterpark, cooking, unboxing and opening fan mail. Videos include Kids 101 Costume Runway Show, 24 Hours With 5 Kids on a Rainy Day and Kid Size Cooking: Best Fettucine Alfredo. Mondays Kristine posts a Mommy Mondays video that is exclusively parenting-focused. 6) FUNnel Vision: This YouTube channel follows the adventures of a family of six; parents and kids Lexi, Michael, Chase and baby Shawn as they enjoy holiday celebrations, road trips, pet videos, food wars and challenges, and they also perform skits. One video not to miss documents the time they toilet papered their own house with a drone. Also check out: Chase’s Corner: 3 MARKER CHALLENGE w/SHAWN and the CHOW CROWN CHALLENGE! w/Hot Sauce Edition. The family also has 211K followers on Instagram. 7) Bratayley: The Bratayley YouTube follows the adventures of mom and dad Katie and Billy LeBlanc and their kids Annie, Hayley and Caleb. The family boasts 211K Twitter followers, 237K Facebook followers and 2.3M followers on Instagram. The family received more attention after the 2015 passing of only son Caleb. Viewers were inspired by the family’s loving support of each other and courage in the face of difficulty. This is another family who aren’t afraid of challenges, favorite videos include The Bratayley Olympics and Human Sundae. 8) Shaytards: The last family of influencers on our list is the one of the families who started the whole family influencer trend. The Butlers, an Idaho family of six, consists of mom and dad Shay and Colette and kids Gavin, Avia, Emmi, Brock and Daxton. In spite of a hiatus of over a year, this family remains highly influential and also has over 400K followers on Facebook. It’s clear from a casual perusal of the above list that vlogging can be a hugely lucrative business for families and the brands that partner with them. This list is just the tip of the iceberg—there are many more families out there with impressive followings of over one or two million on YouTube. They are doing great work in both entertainment and education, and they are the perfect allies for family-friendly brands. You can facilitate your search for influencer families with an influencer platform like socialbook.io that gives you info about brand mentions (so that you can see how your family has performed with other brands) and most engaged followers (the rewards are obvious). More and more families continue to join this trend, creating audiences of millions – all whom are just waiting to hear about you and your company’s services.